Chinese medicine uses them to help digestion, disperse liver heat and food stagnancy, and help maintain healthy cholesterol level. It is also a heart tonic. 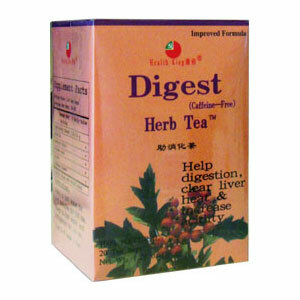 Digest Herb Tea (Caffeine-Free), is made of prunella vulgaris and hawthorn fruit. They provide prunellin, lipase, chlorogenic acid, ursolic acid, L-citronellol, geraniol, nerol, glycosides, flavonoid, oleanoic acid, alkaloid, crataegolic acid, etc. Chinese medicine uses them to help digestion, disperse liver heat and food stagnancy, and help maintain healthy cholesterol level. It is also a heart tonic. It tastes wonderful for iced tea. Help digestion, disperse liver heat and food stagnancy, and help maintain healthy cholesterol level. Heart tonic.